Australian-born violist, Francis Jonah Kefford, is a frequent performer with the UK’s leading orchestras including the London Symphony Orchestra, the English Chamber Orchestra, Aurora Orchestra and the Orchestra of the Royal Opera House, Covent Garden. 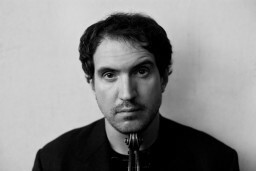 After studying in Toronto with Steven Dann, his most affecting musical influence, Francis remained in Canada for a time working as a guest Principal Viola for Toronto based chamber orchestra, Via Salzburg, and for two seasons as Acting Principal Viola of the Canadian Opera Company. Francis has also led the viola sections of the Royal Liverpool Philharmonic Orchestra and the Bournemouth Symphony Orchestra in the UK. Francis is a Director of the Saronic Chamber Music Festival, a yearly chamber music festival in Greece, and has performed chamber music in many of Europe’s most prestigious venues including the Wigmore Hall and the Purcell Room in London. In 2007, Francis premièred ‘Elegie’ – a work for viola and string orchestra by Australia’s pre-eminent composer, Peter Sculthorpe – at the International Viola Congress, held that year in Adelaide, Australia. Francis plays on a viola by Rodolpho Fredi (1931).